When will that pesto recipe be going up? We are always throwing away half used jars of pesto and we just can’t afford to. 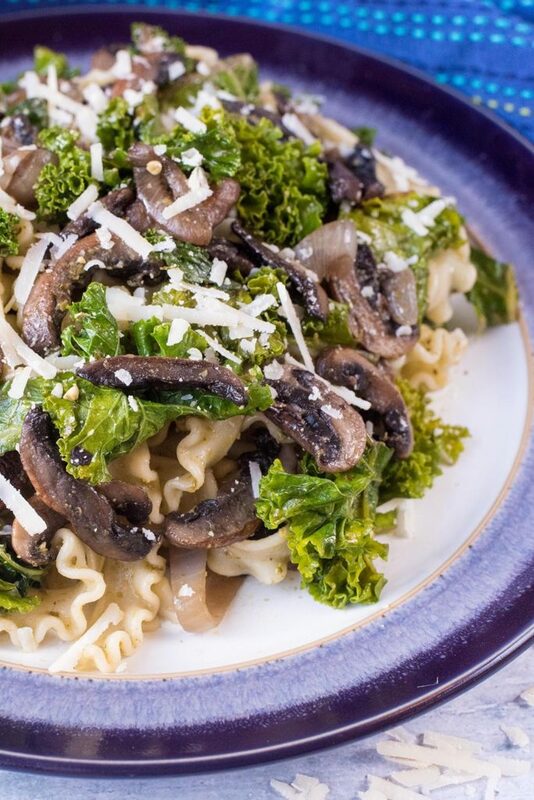 This is a great way to cook with kale. I would skip the mushrooms though, they freak me out haha. I bought some kale crisps the other day and they were nice, but SO expensive. We have stated eating more organic food and although I can’t tell any difference, I feel better for buying organic produce. As a pesto addict, this is right up my street. Great way to use kale too which I’ve been trying to include in my meals, but not been sure what to do with it. I dont really like mushrooms but I still want to try this dish soon! I dont like mushrooms very much, but i have to say this does look very yummy! 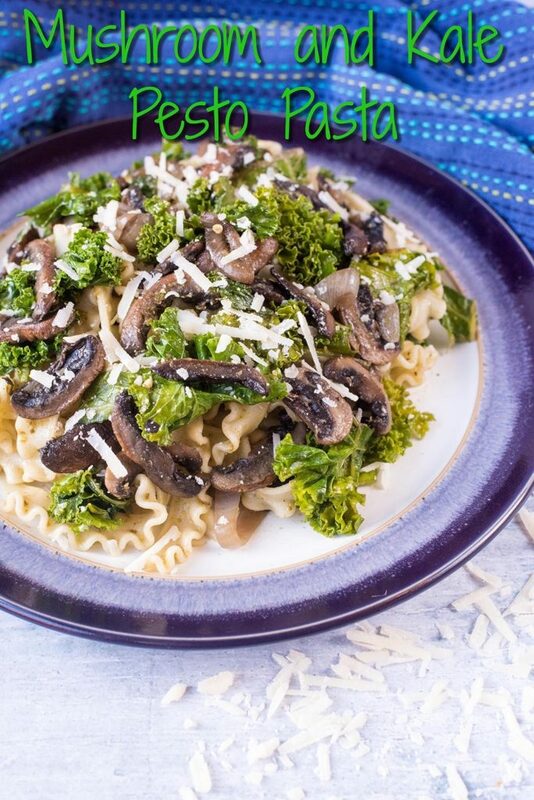 Fab pasta dish, I absolutely love Kale too 🙂 Can’t wait for that pistachio pesto recipe! Oh yum this is right up my street, I actually really love kale so this sounds delicious. Bookmarking it, thank you! 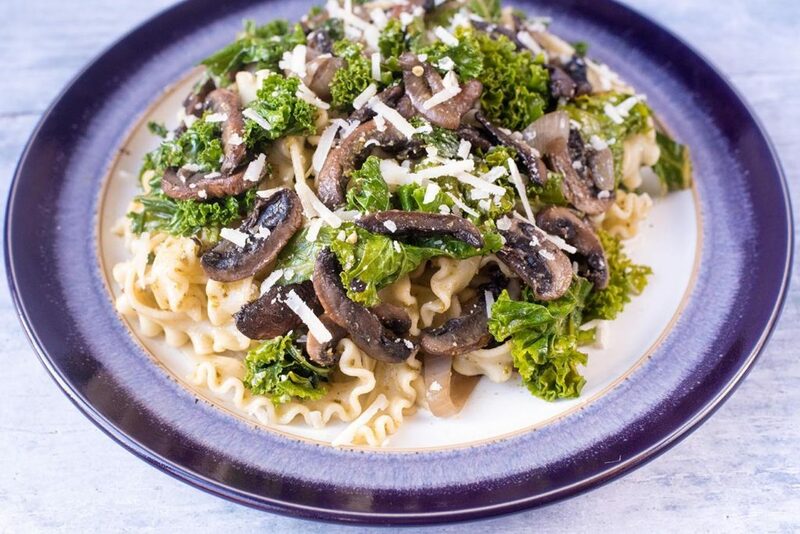 This looks like a fantastic recipe and I’m a huge fan of kale. There’s always a bag in the house and I’ll eat it steamed mostly. I swear! You are the best cook. I love this recipe and it’s ingredients and will be making it soon. 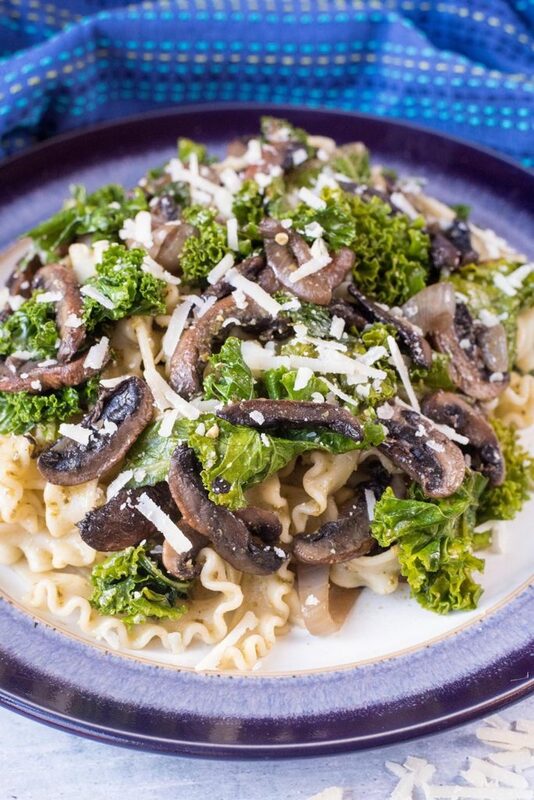 I love kale but always make it as a side…love your idea of adding pasta to make it a main dish! 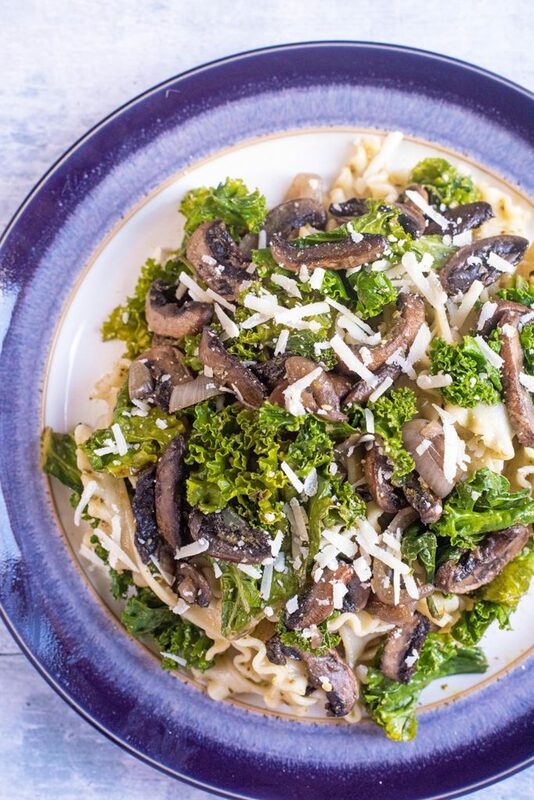 I LOVE kale too and this recipe looks so great. 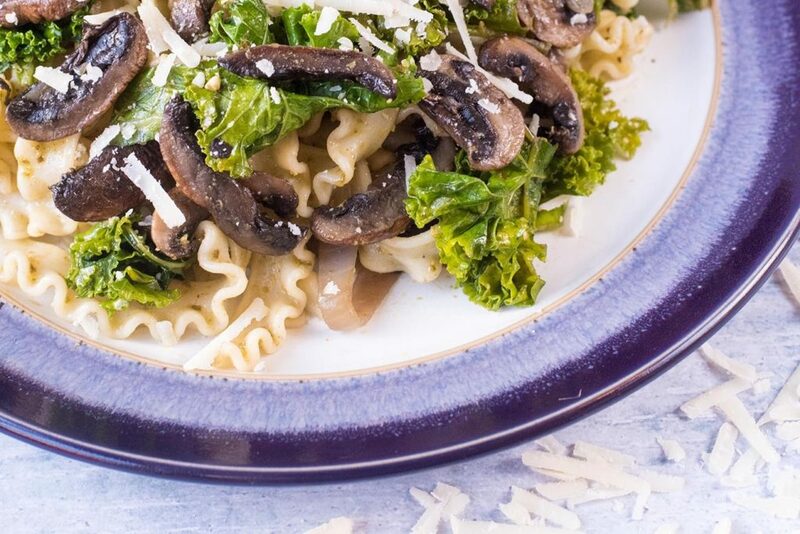 I haven’t tried a recipe for pasta/kale, so definitely going to give this a try. It looks so yummy! 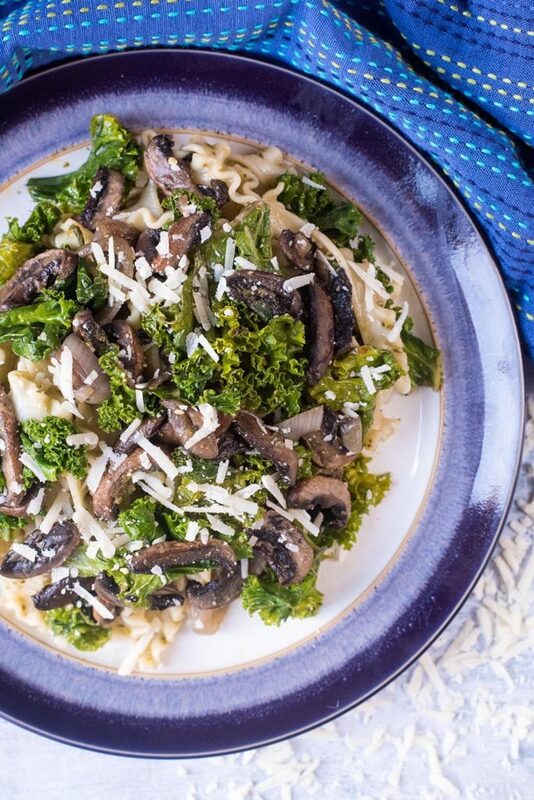 Love the pops of green against the earthiness of the mushrooms, as well as the simplicity and flavour of this meal! I have had spinach in pasta before, but not kale. I can’t wait for that pesto recipe. This looks lush Dannii. I would keep this vegan and then add some chilli flakes on top too. 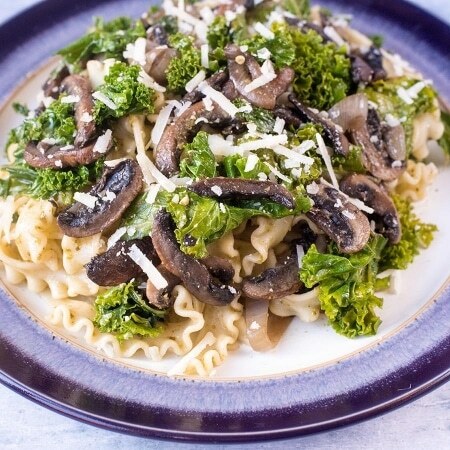 I am not a fan of kale, but I will make this with spinach as it looks nice and easy. Pistachio pesto sounds incredible! 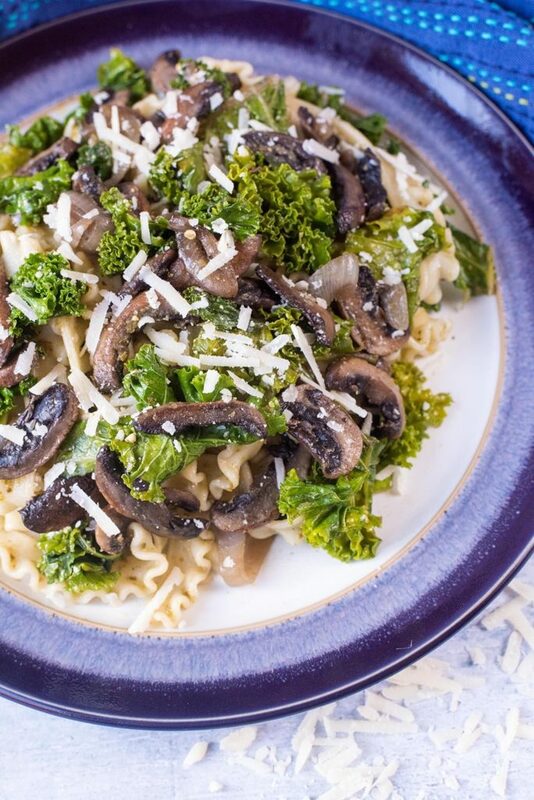 I enjoy crispy kale too and love how you used it in this pasta dish. It looks delicious!